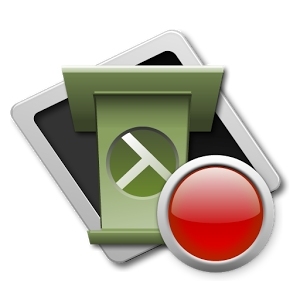 Camtasia Relay makes it easy to record your computer’s screen and create recordings using a microphone and webcam. Once you’ve made the recording you can trim the start and end of your video and immediately send it to your personal category of the Online Video Service (OVS) without having to manually upload any video files. Camtasia Relay can be downloaded to your office or home PC or Mac. The TechSmith Fuse for Camtasia Relay App can be installed on your tablet or smart phone, enabling you to record a video using the inbuilt camera and microphone and not have to worry about storing video files on your device. Follow these instructions on how to create a screen movie with Camtasia Relay and how to share videos in Moodle. If you are using a tablet or smart phone you can record a video using the inbuilt camera and microphone and using the Techsmith Fuse for Cam Relay app the recorded gootage can be instantly uploaded to your personal category in the Online Video Service. It’s available on iPhone 4 or later, Android and Windows RT. Once recorded, the footage will be instantly uploaded to your personal category in the Online Video Service. Please note: if using the TechSmith Fuse for Camtasia Relay App you won’t be able to edit the file before uploading it. Log in using your University login ID and password. Any screen recording submitted to the Online Video Server will be automatically published in your personal category. Follow the on screen instructions to install the recorder. Please note: Camtasia relay is also available as a standalone application that can be run off a pen drive for situations where you are not allowed to install the relay application onto the device you are using. Visit your Tablet’s app store and search for “Techsmith Fuse”. Follow the on screen instructions to download and install the app which should be free. Enter your login ID and password and click Save. 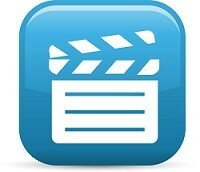 You may also find the How to install Techsmith Fuse on an IOS device video useful. Information about the Video Security Settings can be found on the Online Video Service page.